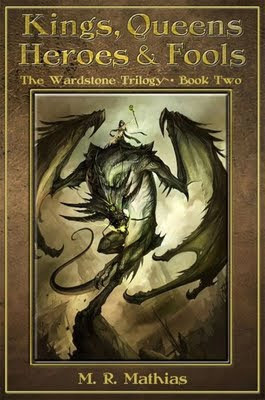 Fantasy Book Critic: THE INDIE DAY GIVEAWAY: Win an AMAZON KINDLE featuring M.R. Mathias’ Entire Bibliography + E-Books from his Favorite Independent Authors!!! 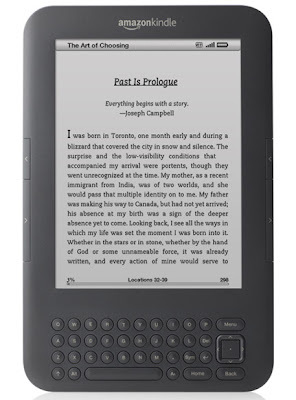 THE INDIE DAY GIVEAWAY: Win an AMAZON KINDLE featuring M.R. Mathias’ Entire Bibliography + E-Books from his Favorite Independent Authors!!! Join Hyden Hawk, and friends, on an adventurous quest, over land and sea, to find the Silver Skull of Zorellin. Fight with Mikahl, Ironspike, and fierce King Jarrek as they try to free the enslaved people of Wildermont from King Ra’Gren and his Dakaneese Overlords. Patrol the skies with Shaella, and her new black dragon, Vrot. With her father’s spell books, and the Priests of Kraw, she decides to aid King Ra’Gren, while scheming to free her lover, Gerard, from the hellish Nethers. To enter, please send an email to fbcgiveaway@gmail.com with your Name, Mailing Address (Street Addresses Only), and the subject: INDIE KINDY. Giveaway ends on Monday, July 4, 2011 – 11:59AM PST and is open to Anyone. Thank you for entering and Good Luck! I just wanted to add that the eBook versions of "K,Q,H,&F - Wardstone 2" went live at Smashwords & B&N last night and will probably be available at Amazon by Monday, if not sooner. Print readers will have to wait until July, sorry. Congratulations for your success and thank you for including my novels in your giveaway package. This ia a great give away. I have sent the email and if I were to win the Kindle would go to my grandson, he only read this genre. Awesome giveaway and great taste in books. Thanks! WOW! So many comments! Good Luck guys! I hope you win! Sweet giveaway. Count me in, since a decent eReader allows for easier reading of a large proportion of indie writers. What a deal! Can I enter if I am an author? You haven't critiqued my book as yet. Mind you, it would be fun trying to sort out finding a US plug adaptor as I live in the UK. @Daniel The time limit is for July 4th. You have a whole month to get entered! Daniel, if you win and you live in the UK I will purchase the kindle from AmazonUK and have it shipped. The Books that come with it are all via Smashwords.com free coupons so loading them will be done via Smashwords and your computer. Wow. What an amazing giveaway! Thank you!! WOW! What a GREAT giveaway! THANKS!!! I thought you was giving away a Kidney. A Kindle is even better! I've got my fingers crossed, and my toes, and my eyes when not driving! Thanks for hosting such a fantastic giveaway! What a super giveaway, this is like somebody giving you a car AND the gas for 1000 miles (and the maps as well! :p)! I know there are probably hundreds of entries already (and probably many more coming until the end of this giveaway) but I will keep on hoping and dreaming this will be mine! Thanks a lot! What a fabulous list of books, thank you very much for the giveaway. Great contest! I just entered as well as tweeted about it. Thanks. Awesome. Thanks so everyone...and congrats. Great collection of books! Count me in too! Oh, this would be awesome! A Kindle and more books, too!